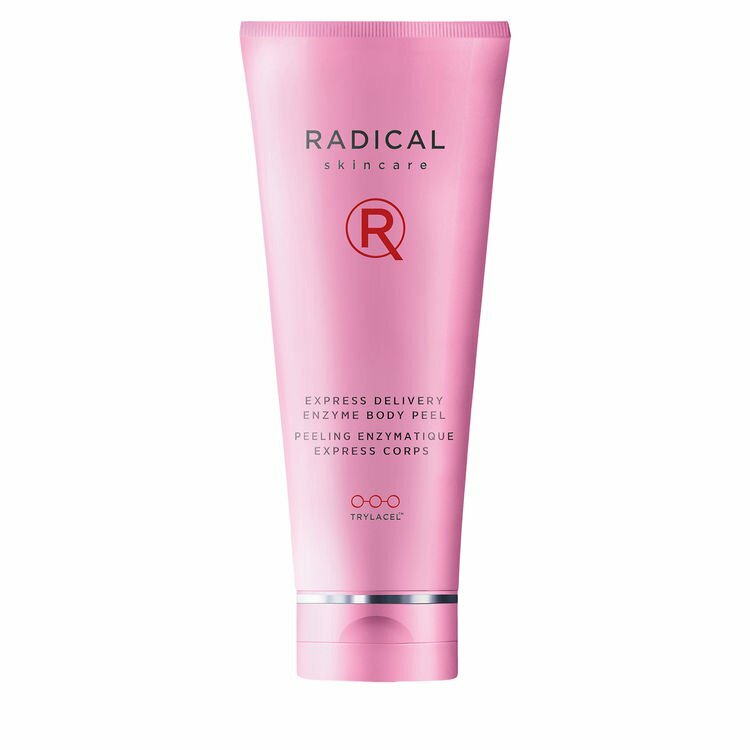 A powerful and potent range, Radical Skincare is paraben free, clinically proven, and designed for all skin types. This antioxidant-rich skincare is great for mature skin if you need some extra hydrating, we love these three products, the face and body enzyme peels, which improves the skin’s micro texture, retains moisture and helps to reduce chronic itching and irritation plus exfoliates and assists dead skin. The fluid has serum like qualities which gives the skin extra hydration and a glow. Revel in a youthful glow with RADICAL SKINCARE Radical Perfection Fluid, a light and silky skincare treatment that scientifically combines a lotion and a serum to create an elixir that preserves beautiful, youthful skin. This fresh formula works to illuminate, plump and deeply hydrate skin while fighting the signs of ageing. This two-in-one fluid helps to energise, brighten and blur imperfections while smoothing wrinkles. 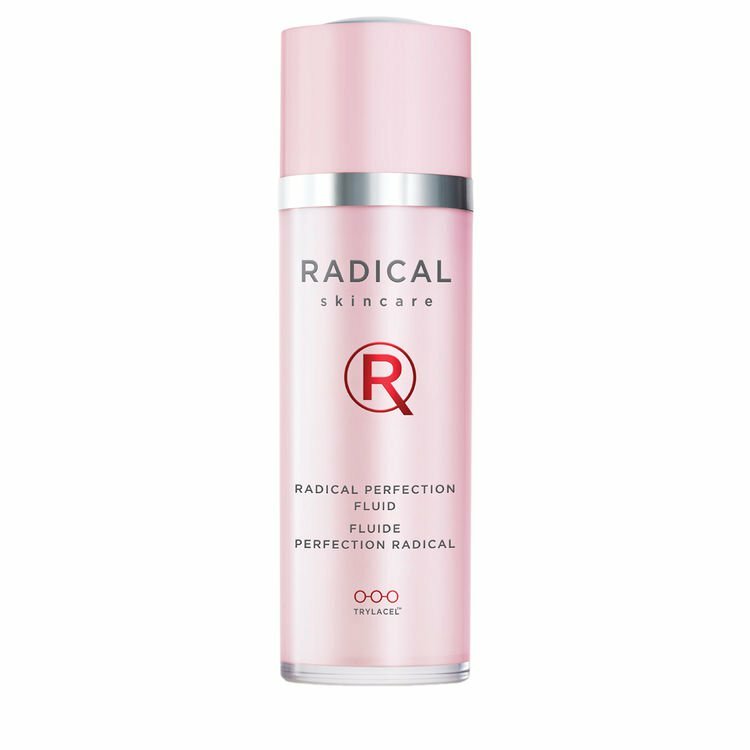 RADICAL SKINCARE Radical Perfection Fluid contains powerful active ingredients to regulate cell activity and stimulate collagen and skin cell repair, while diffusing light to give skin a healthy, natural glow. It also minimises fine lines and evens skin tone. Treat skin to this amazing elixir for a youthful radiance. 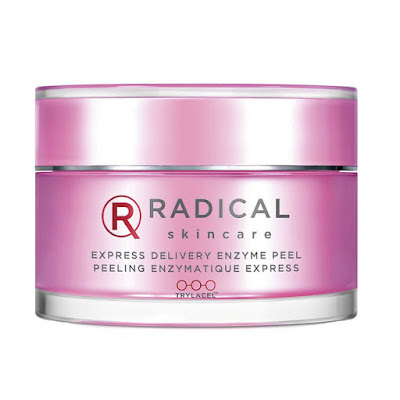 Stimulate skin cell regeneration and encourage the shedding of dead cells with the help of Radical Express Delivery Enzyme Peel, a skincare product that rejuvenates and restores. With a list of botanical ingredients including fruits, extracts such as grapefruit, lemon, papaya, pineapple and mango, it is clear why the treatment is so effective. 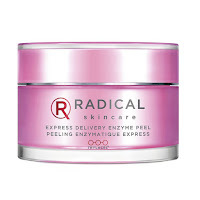 The unique mix of ingredients in Radical Express Delivery Enzyme Peel helps to remove dead skin cells, while enzymes and vitamins stimulate the process of smoothing and brightening skin. By making use of this powerful skin treatment, you will find that it is not necessary to seek harsh chemical peels to enjoy beautiful, clear skin. Radical Skincare has taken exfoliation to a whole new Radical level with their Express Delivery Enzyme Body Peel. Loaded with powerful multi-fruit acids to help remove dead skin from the neck to your toes. Infused with Astaxanthin, which is a natural fresh-water micro algae sourced from African lakes and Arctic snow fields. This algae is what Salmon feed on, which is the source to their pigmentation and healthy glow. Known to be the most powerful antioxidant to fight free radicals and aging skin; due to its unique ability to protect nuclear DNA and cell content from oxidation and UVA radiation. With our Trylacel Technology, they have harnessed the power of Astaxanthin and other key multi-fruit acids to deliver Radical results and nothing else.